We have prepared a free version of all our premium or directory themes for each one of our customers. Thanks to this you can try any theme prior subscribing to Full Membership. What can the free themes be used for? The theme trial version can be used for testing of the product. You can check how the theme looks like exactly, get familiar with its administration, you can try the settings in the Theme Options section and find out, if the theme suits your needs – from the visual as well as the technical point of view. You can examine if it meets your expectations. The free theme contains everything what can be found in its full version, only some of its parts are not fully displayed (greyed out). These items get activated once the theme is upgraded to the full version. Please bear in mind that the free theme is primarily designed for the theme testing purposes, not for the creation of commercial websites. Therefore some of the functionalities are limited. Elements and plugins are deactivated in the trial version, e.g. AIT Elements Toolkit. Nevertheless the structure and location of individual elements & plugins is preserved therefore you can see all the theme elements and their arrangement. Thanks to this you have a great idea how the full version will look like. Thanks to AitThemes you get the best premium free theme for non-commercial use. 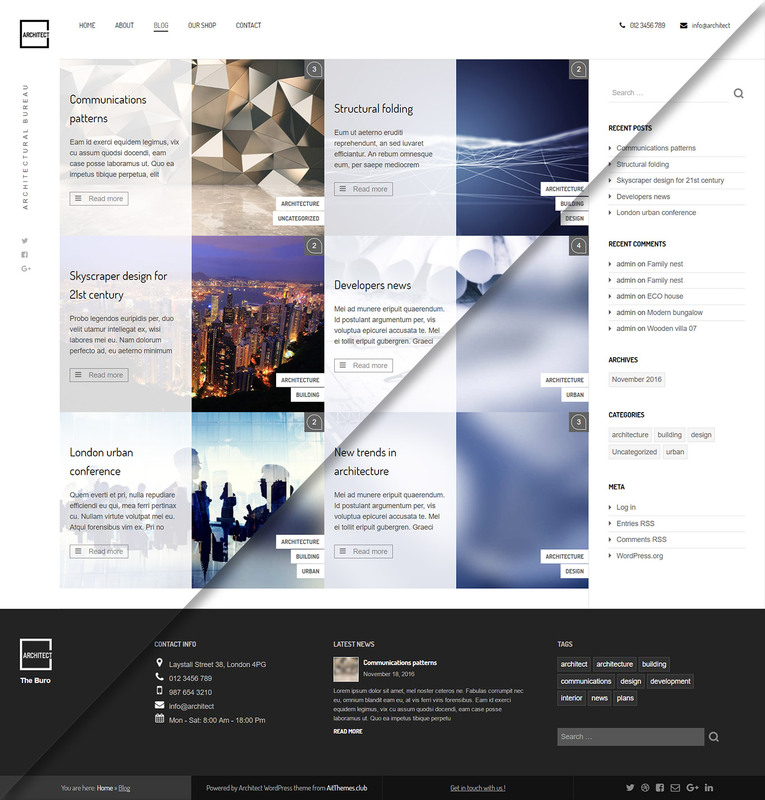 Main difference between our AitThemes and other free themes, which can be found e.g. on WordPress.org, is the utilisation of our themes for personal websites. The themes downloaded from WordPress.org have very limited functionality and the websites that are built using these free themes cannot be fully used in real world. On the contrary, AIT Free themes let you create full-featured personal presentation that can be published online without any problems and that can be continuously worked with in a simplified way. Once you subscribe to Full Membership, you gain access to support, technical documentation and Knowledge Base with detailed video tutorials that can help you with getting your theme set up. Have you got your Free theme already and do you like it? Why my Free theme doesn’t look exactly like the Preview of the theme? Free theme has some limitations as it is a trial version and some of the elements aren’t available. You need to buy Full Membership in order to activate the full version with all the available elements. Import of demo content doesn’t work. Is the upload of own content to Free theme restricted? No. Even when using our Free theme it is possible to import demo content without any restrictions. If the import doesn’t work, there might be an issue with your hosting settings. Please contact your hosting provider. What does it mean that the Free theme is only for non-commercial use? It means that you can use the Free theme for creation of your own website for your own personal presentation. Free theme cannot be used for commercial purposes – e.g. for building of business websites for your clients. If I create my website via Free theme first and then I buy Full Membership, do I have to start loading my content all over again? No. You can update your theme directly from the administration interface of your Free theme. All your saved data and content will remain on your website. You don’t need to re-build your content and settings. Furthermore the elements and plugins that were not available (greyed out) when the theme was Free, get activated automatically. Will I get updates for my Free theme? Yes. 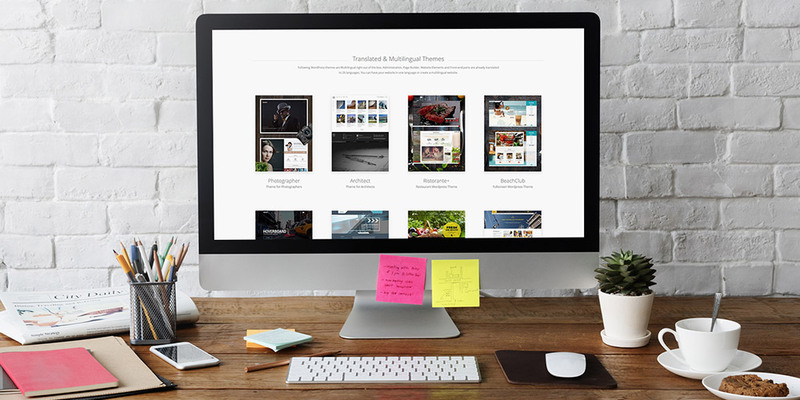 Updates are provided for all our Free themes – you can fully enjoy your theme with confidence. I’m already testing one of your themes. It’s great that you kept all settings in the theme. I can play with colors and show my client what will be possible with full version. Good move! Love it. thanks for your compliments. Free version of the theme doesn’t use AIT Toolkit plugin: https://www.ait-themes.club/wordpress-plugins/ait-elements-toolkit/ /no pre-made custom post types, no Elements to show them in Page Builder/. All you can do with free theme version is setting of colors and some basic functionality, in fact theme is suitable for personal use only (not ready for commercial purpose, no technical support). 1. Why in your newsletter is no link to unsubscribe? 2. Why on your website I cant find unsubscribe option? 3. Why there is no contact option so I can ask those questions in a normal way? How come there is no way of contacting you on the website no numbers email addresses etc. There are alot of question i have that needs to be cleared before i buy the full membership. Can one use free theme with Adsense like ad programme in my personal non-commercial site? Does free theme support advt? Free version of the theme doesn’t use AIT Toolkit plugin: https://www.ait-themes.club/wordpress-plugins/ait-elements-toolkit/ /no pre-made custom post types, no Elements to show them in Page Builder/. All you can do with free theme version is setting of colors and some basic functionality, in fact theme is suitable for personal use only (not ready for commercial purpose, no technical support). Therefore, Advertisements custom post types and the Element is not available. I keep seeing the ‘Free theme for testing purpose’ but no where I can find the download button to get the free theme. I’ve done the registration process. Can you please let me know how I can test the free theme with language plugin? thanks for asking. You should login into our system and download the theme. AIT Languages plugin is not included. Hi, I want demo content for businessfinder2 theme. Tnx. Why is the default page title displayed in the solitudo topic, home, and a horizontal line is automatically added to the “Text” block – I did not add it. which is amount from second year for single theme and for full membership ? thanks for asking. After one year you are free to decide to prolong your membership for the same price. I chose to download the free version of event guide-just to see how it works. Clicked on download, registered and was then directed to free themes but could not find the event guide.? thanks for asking. After login please try to use filter by selecting the button “Directory & Listing themes”. Hi, I’ve just installed free version but I didn’t see any item on the map. Is it related to any importing problem or is it just for the free version? Inserting of the WordPress option “ait-item_category_1xx” failed. I am unable to find the trial download link to Foodmenu theme. Am I am missing something? I just bought your full membership and would like my money back. How can I arrange it ???? please provide us of your user name which allow us to trace up your account and look closer at you issue. An error occurred while updating Memorial: Can not authenticate user due to incorrect AitThemes.Club API credentials or they were not provided. Make sure you have entered correct Username and API key. Do you have still active access to your account? 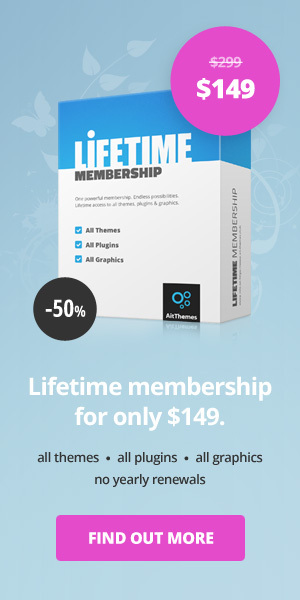 Each of our products except Lifetime membership package comes with access to their updates valid for a 1 year. After this period you are free to decide to prolong or renew your membership for the same price. No problem.